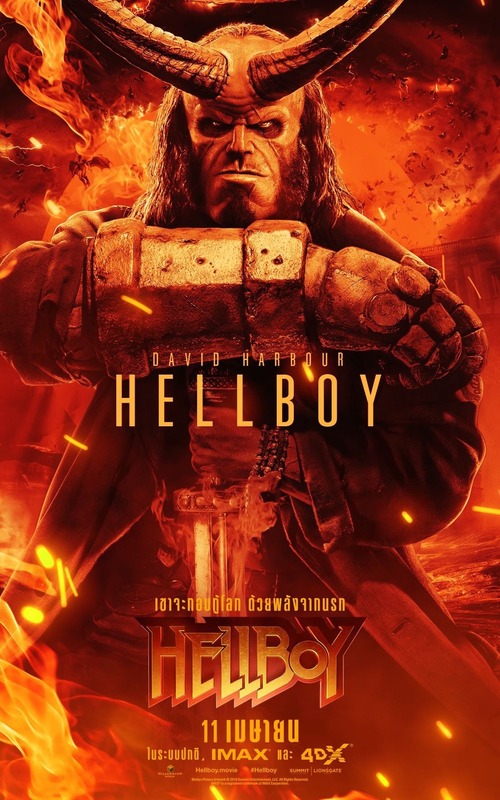 The upcoming reboot of Hellboy starring David Harbour has just released two new posters for supernatural action/horror. 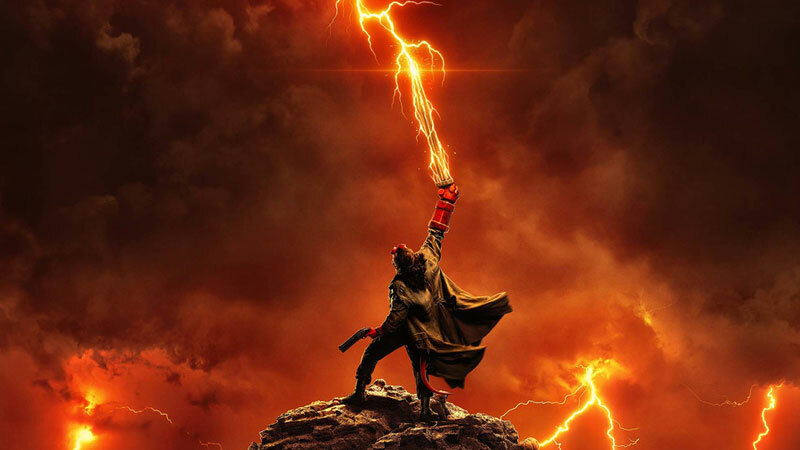 Both prominently feature the title character, one in a stoic pose with a sword, and the other with him on top of a mountain harnessing the power from a bolt of lightning. You can check out both new posters in the gallery below! The Stranger Things actor stars as the title character, and will be joined by Ian McShane (Deadwood, American Gods) who plays Hellboy’s adoptive father, Professor Trevor Bruttenholm (aka Professor Broom), Milla Jovovich (The Fifth Element, Resident Evil franchise) as villain Nimue aka the Blood Queen, Sasha Lane (American Honey) will play Alice Monaghan, Penelope Mitchell (Hemlock Grove) will play the elder witch Ganeida, and Daniel Dae Kim (Hawaii Five-0, LOST) is playing Major Ben Daimio. RELATED: Check Out Over 75 Hellboy Trailer Screenshots! Hellboy will be unleashed in theaters on April 12.